Dam Profile: SG Nokia vom Ersten Platz is a beautiful, black and red female who loves people and loves to play! She has an excellent temperament and beautiful black and red pigment. Nokia's pedigree is full of V/VA rated dogs which include her father, VA Gordon du Clos de Patmisand, VA Paer vom Hasenborn, VA Quantum von Arminius and 2x VA Larus von Batu. Nokia will pass along her great pigment, looks and temperament to her pups. Nokia has her IPO1 (SchH1) and her hips and elbows are rated A1/A1, the highest German rating! She has also been tested for DM and is clear (DM free) so her puppies will not be at risk. Nokia has also passed her OFA caridac exam. 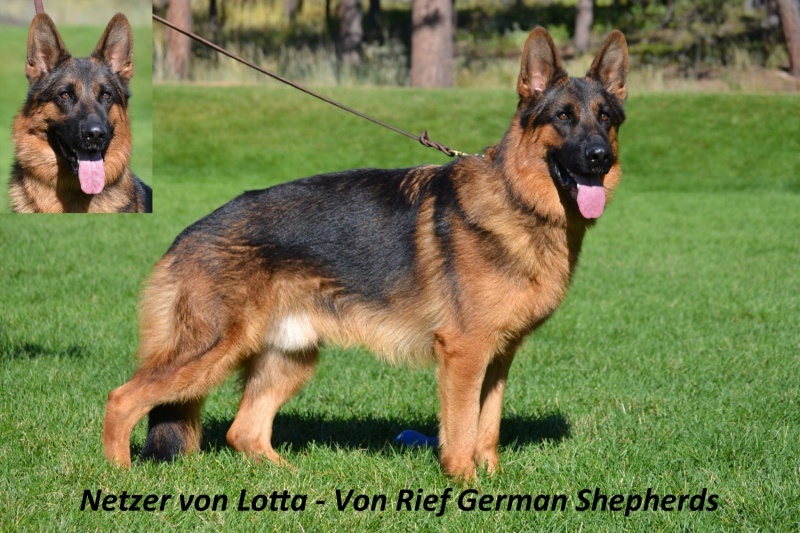 Stud Profile: SG Netzer von Lotta is a handsome, young male with an outstanding temperament. He is very friendly, obedient and eager to please. Netzer is a rare, red sable show line. Because he also carries the black/red gene from his father, he will produce both red sable and black/red puppies. 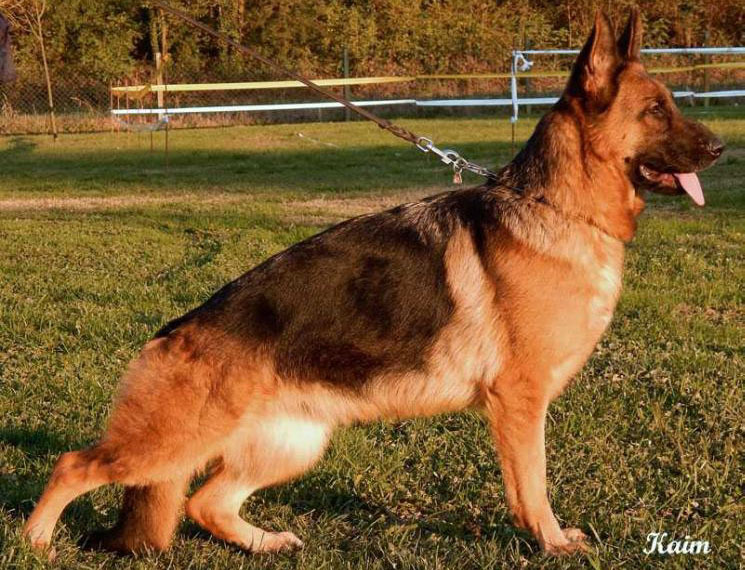 Netzer comes from healthy German lines full of VA/V rated dogs who are titled in Schutzhund. Netzer’s grandfather on his dad’s side is 2X VA (world champion) Remo vom Fichtenschlag. Netzer’s mother is the daughter of 2X VA Natz vom Land Mecklenburg and the granddaughter of VA3 Dux de Cuatro. Nezter’s puppies will inherit a great temperament and healthy bloodlines. He will also pass along great pigment in either red sable or black/red to his puppies. Netzer's hips and elbows are rated A1/A1, the highest European rating and he is DM clear (degenerative myelopathy). He has also passed his OFA cardiac clearance.